Bicycles are a great mode of transportation, especially in metropolitan areas. There are many benefits to choosing bicycle travel as your primary method of transportation, such as convenience, cost efficiency, and eco-friendliness; however, there are also many risks. In most cities, bicycles are only allowed on roads, forcing bicyclist to share the space with motor vehicles that are much larger than bicycles like cars and trucks. 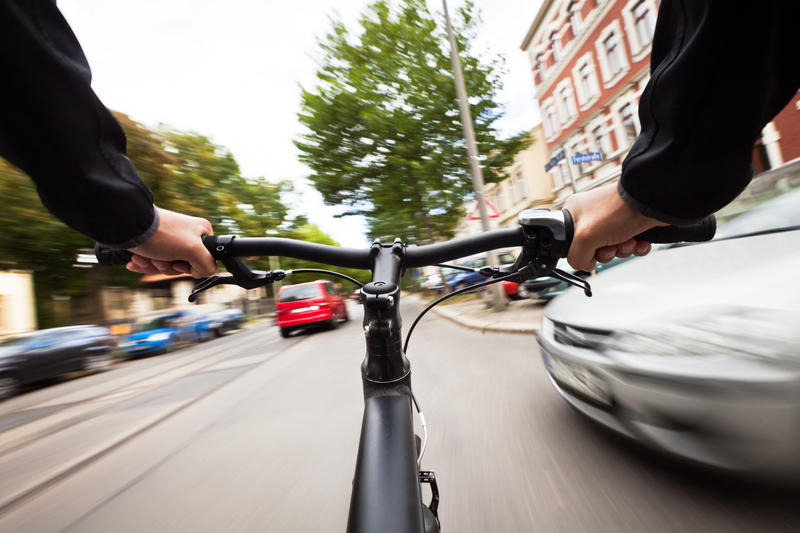 Unfortunately, motor vehicle drivers don’t always remember to share the road with bicyclists and when that happens, accidents leading to personal injury or wrongful death can occur. According to the National Highway Traffic Safety Administration, there were a total of 35,092 fatalities in 2015 and 2.3% of that number is bicycle related. While 2.3% may seem like a small percentage, it actually translates to a total of 818 bicycle-related deaths in just one year. In 2014, in the state of Virginia alone, there was a total of 746 bicycle accidents. Out of those 746 bicycle accidents, 712 of them led to a serious injury being reported. Out of those 712 bike accidents with serious injuries, 12 victims lost their life. While bicycle accidents are not nearly as common as car accidents, the injuries can be devastating and life-threatening. A bicyclist crashing into a car door as a result of the driver not checking for oncoming bicycles prior to opening the door. Driver failing to check their blind spot. If the negligence of another person resulted in a bicycle accident that claimed the life of a loved one, you may be entitled to file a wrongful death suit. It goes without saying that compensation will not ease the pain, but it can help with the stress associated with medical costs, funeral costs, legal costs, lost wages, and the planning of your family’s financial future. If you find yourself injured in a bicycle accident the first thing to do is contact emergency medical services immediately and stay at the scene. Do not leave without the assistance of a medical professional or you might injure yourself further. You should also then call the police to report the incident. Make sure that if there are any witnesses to the accident that you also have them talk to the police. After seeking medical treatment, contact your insurance company and report the accident. Do not settle or accept any offers from the insurance company. The best course of action from here is to contact a bicycle accident attorney to help you get the highest compensation available for your injuries. Compensation includes things such as loss of income from being out of work, future lost wages, medical expenses and money to cover the expenses of property damage. If you were injured in a bicycle accident as a result of another motor vehicle driver’s negligence, or if a bicycle accident resulted in the tragic loss of a loved one, an experienced bicycle accident personal injury attorney can help you seek rightful compensation. Feel free to contact one of our personal injury attorneys today!